The new station building with the historic city centre to the left. 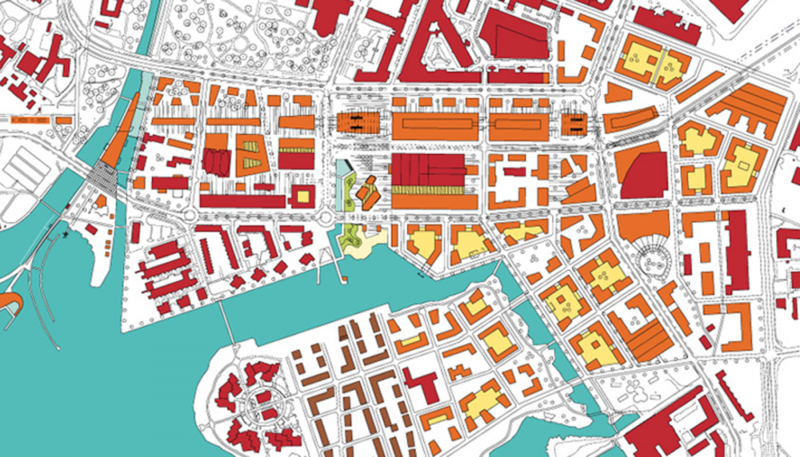 The task set by Västerås city authority was to present a vision for central Västerås and a solution for how to connect the city centre with the harbor area that was cut of by the railway. We were free to make an analysis, and test ideas regarding the development of station area in a wider context. 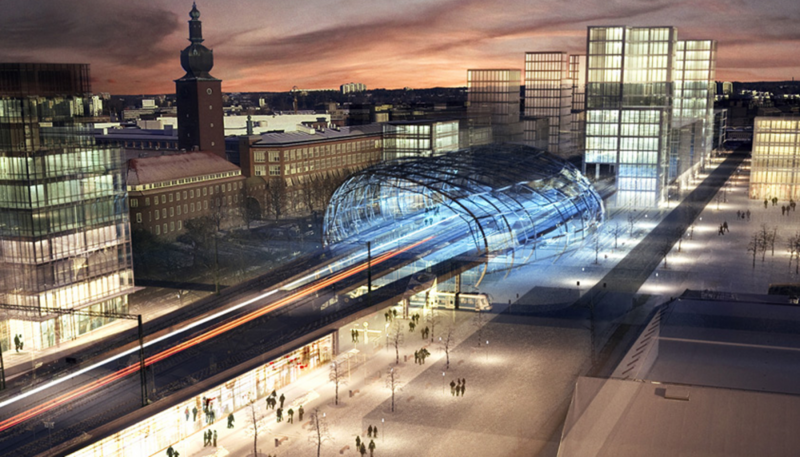 The core idea of the project has been to propose that the railway, creating a barrier between the old city centre and the lakeshore, to be raised. By lifting the railway opportunities to make links are greatly improved. At the same time an interesting environment surrounding the railway is created for commercial and cultural use. 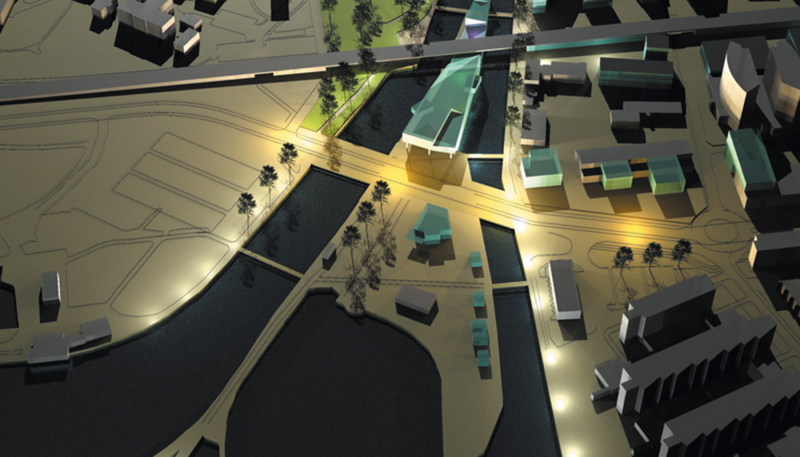 Project type: Invited competition, a vision for central Västerås. Program: 17 km of raised railway. The small river Svartån meets the lake Mälaren in a new context. Arial view from the east. 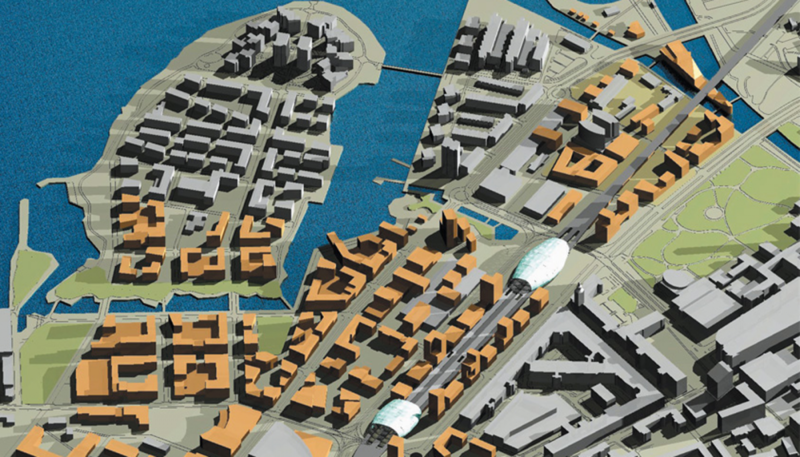 Illustrative plan showing a continuous street net connecting the historic city centre and the new developments next to the lake Mälaren.